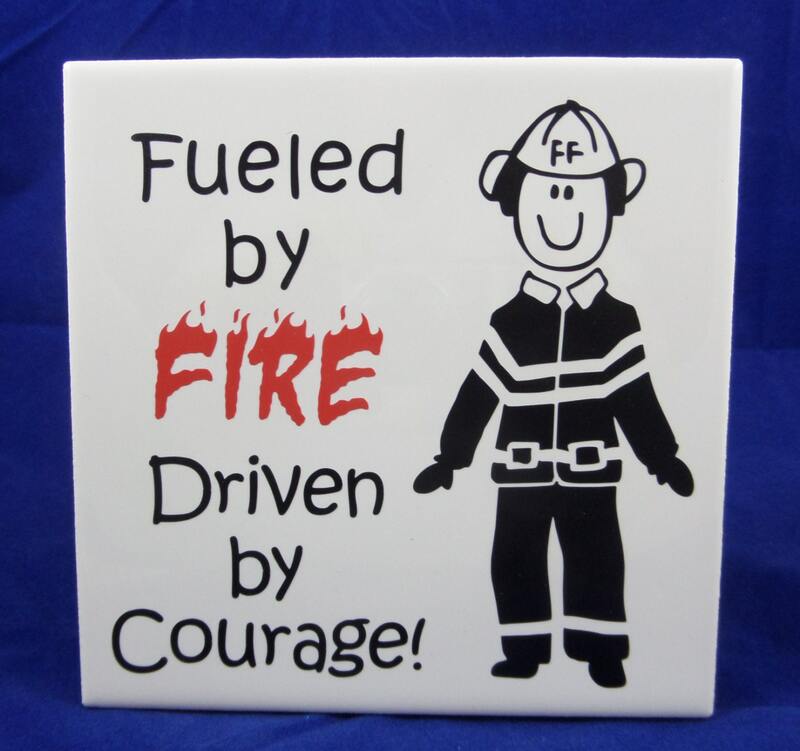 This 6" x 6" ceramic tile sign would make a perfect stocking stuffer for your favorite Fireman! 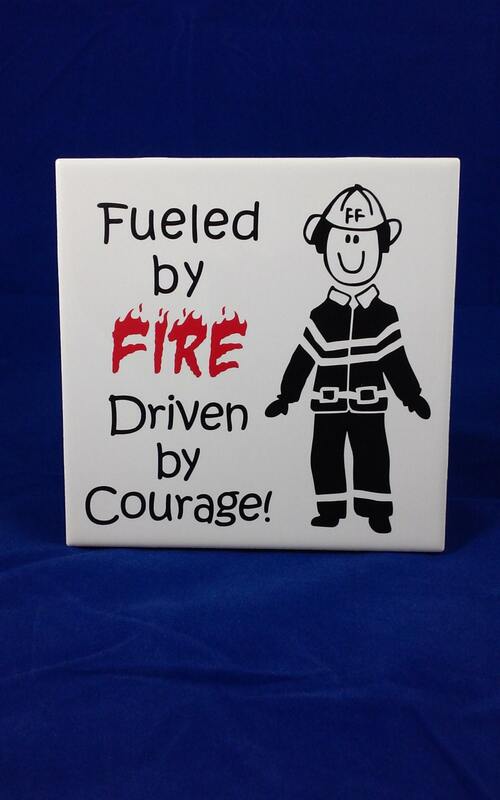 Our brave firefighters put their lives on the line every time they face a fire. 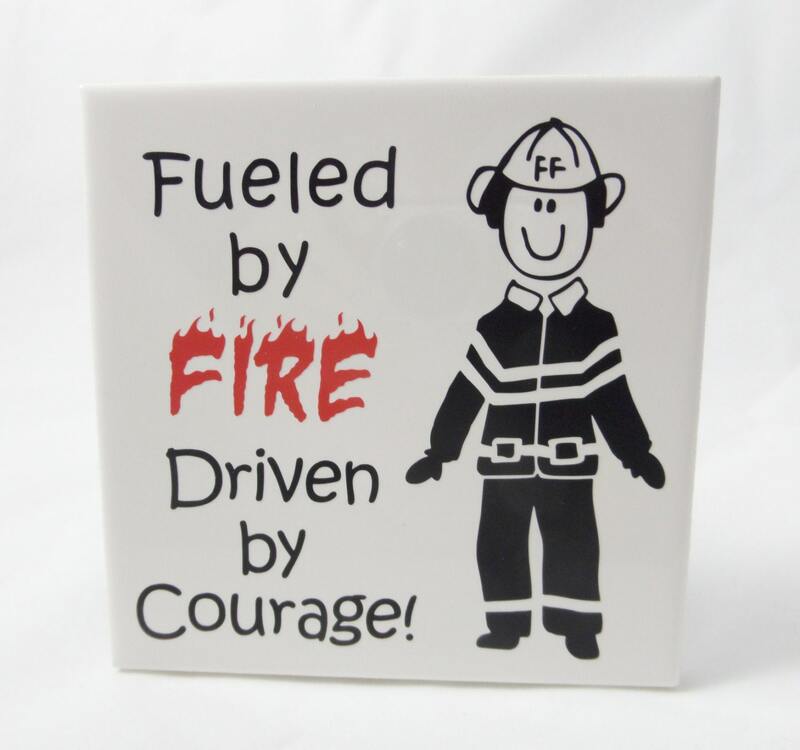 Show them a little love! 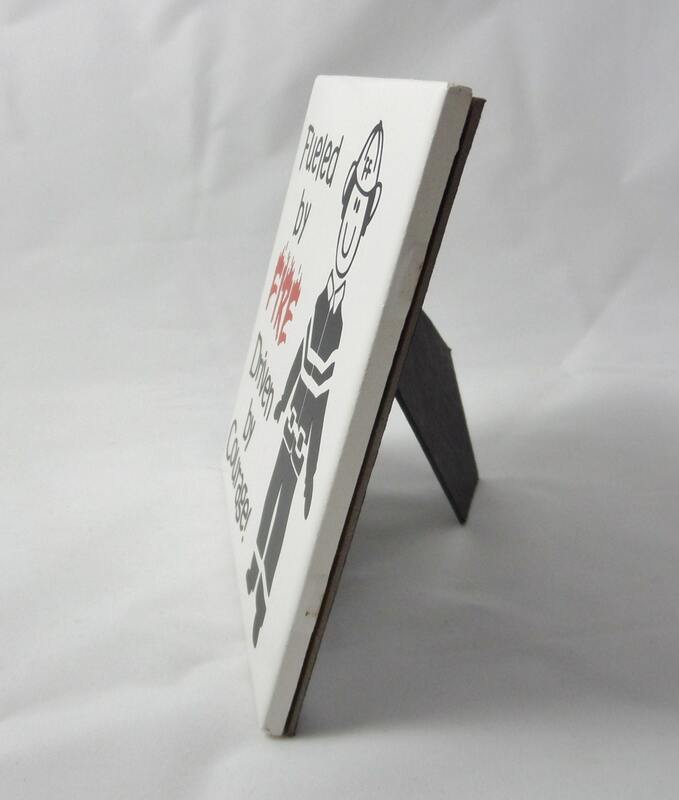 This piece is available with an optional easel back, as shown in the photos. 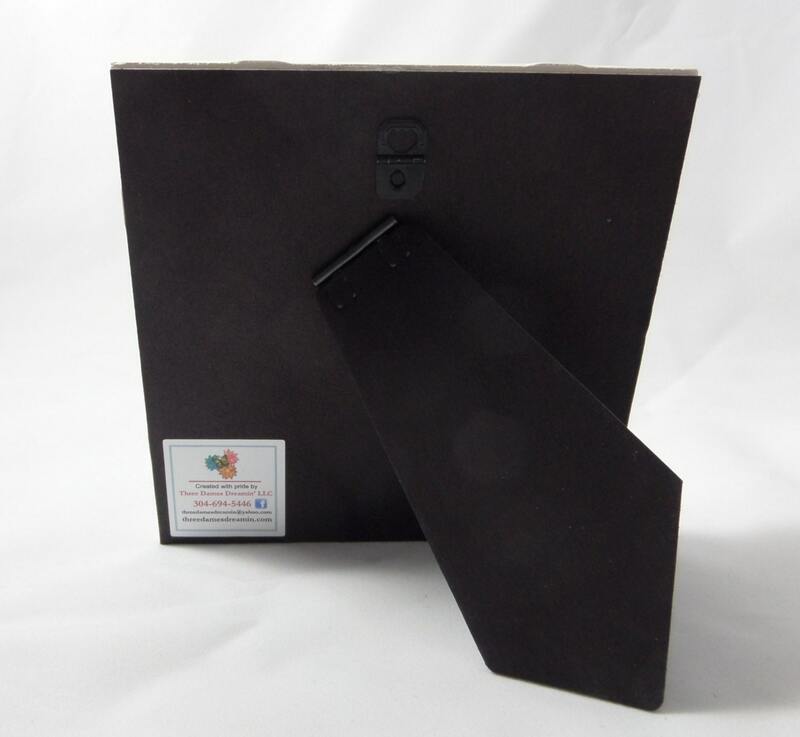 The easel back has a sawtooth hanger as well as a fold out easel stand.